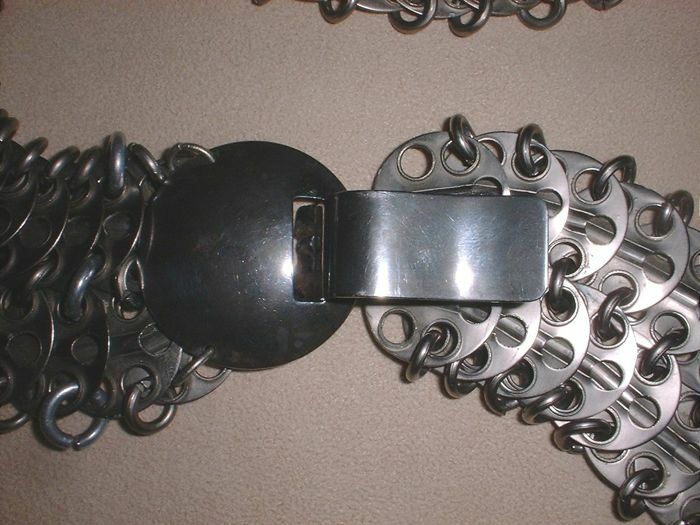 A collectable item from the 70's, original Paco Rabanne belt made in France. 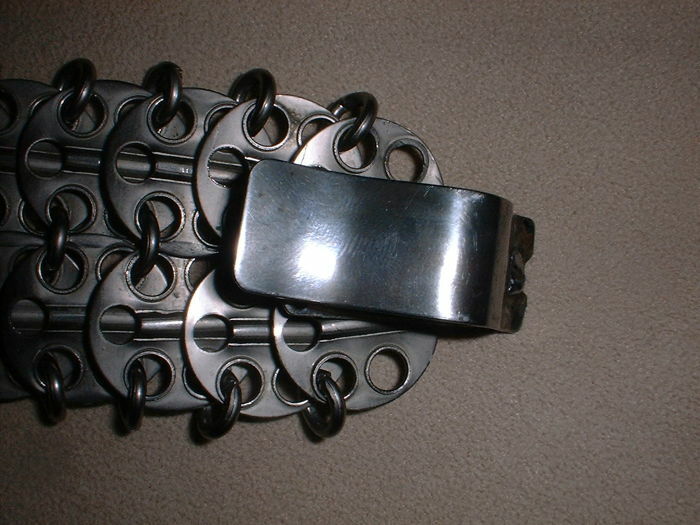 The belt measures 30-31" long and 2" deep. 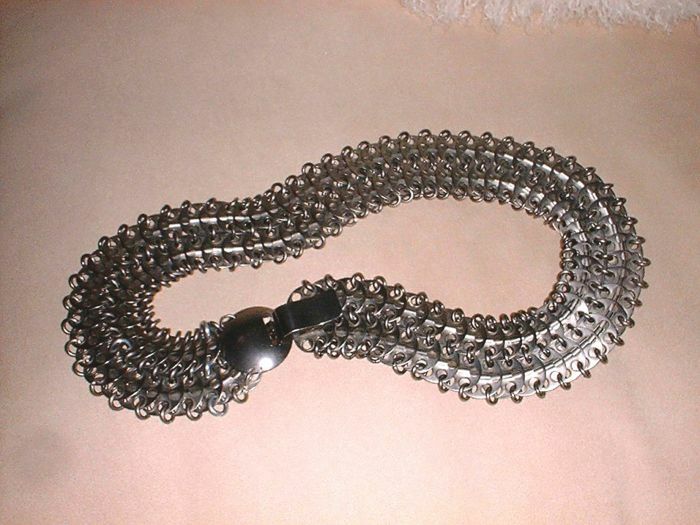 The belt is constructed of round silver grey aluminium discs which is typical of this famous designer. The discs are held together with small metal rings. The buckle appears to have had a repair at the back but this is not visable when the belt is closed. There is a worn paper label with the logo Paco Rabanne, Paris, Made in France, on the inside of the round part of the buckle. 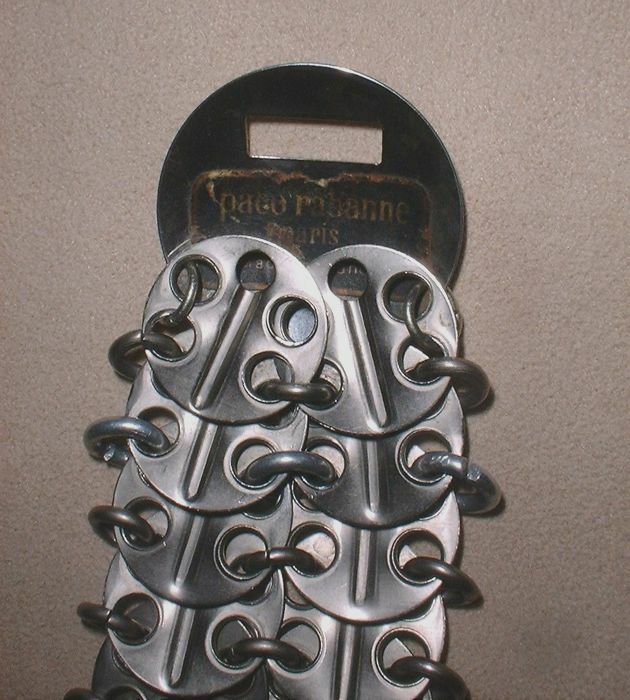 As this is a vintage item there is some slight wear on the outside of the buckle. The belt is in perfect condition, with all it's original rings and none missing. 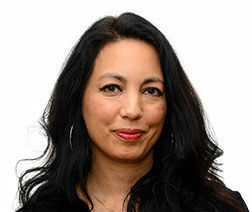 Możesz odebrać ten towar u sprzedawcy: Manchester (Lancashire), Wielka Brytania.